Volkswagen intends to invest 44 billion euros ($50 billion) in the electric and autonomous car technologies expected to reshape the industry—and said it would make battery-powered vehicles more accessible to mass-market auto buyers by selling its new I.D. compact for about what a Golf diesel costs. 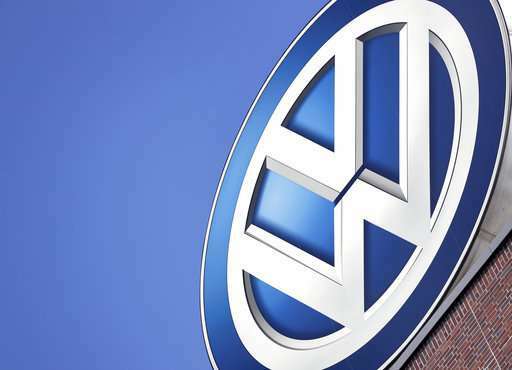 The investment plans for the next five years aim to make Volkswagen "a worldwide supplier of sustainable mobility," Chairman Hans Dieter Poetsch said Friday. He added that the company is in talks with Ford about possible cooperation in making light commercial vehicles. In Europe, manufacturers need to sell more battery-powered cars to meet tougher EU limits on carbon dioxide emissions that come into force 2021 and aim to fight global warming. Automakers like Volkswagen, Daimler and BMW risk penalties of thousands of euros per vehicle if they can't meet requirements for lower average emissions. Yet right now, such vehicles remain a niche market due to higher price and lack of places to charge. Battery-only vehicles were only 0.6 percent of the market in the European Union last year. They are running from 1 to 2 percent of U.S. new-vehicle sales so far this year. Major new models unveiled in recent weeks from Daimler's Mercedes-Benz and Volksagen's Audi brand have been expensive SUVs; Audi's e-tron starts at a German price of 80,000 euros. The starting price for Tesla's Model X is around $80,700 while the Model S starts around $74,500. VW's upcoming I.D. compact could take mass-market buyers from Tesla's Model 3, a mass-market car with a base price of $35,000 before tax credits. In reality, though, you can't order one yet for less than $46,000. Poetsch said the I.D. compact would be about the cost of a Golf diesel today, which is priced at 23,875 euros in Germany, according to Volkswagen's website, and goes up as options are added. The next model up the scale starts at 30,625 euros. General Motors, Nissan and Mitsubishi already are selling mass-market electric vehicles, but they're still more costly than cars with gasoline engines, and they haven't sold in great numbers. Great. Finally. Time to drop all infernal combustion cars. But particularly diesel. What, these ones are gonna be where they cheat on the batteries and put lead in all the landfills? The place for charging points are car parks, most usefully supermarket car parks.